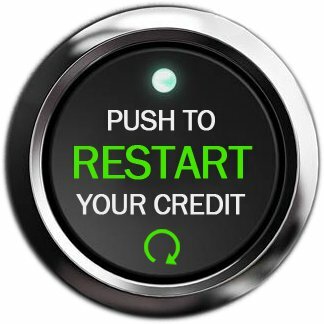 Our Credit Restart Program gives good people who have bad credit “speed bumps” in their past a chance to start over. We have helped thousands of people over the years reestablish their credit with auto financing, while helping them drive home in a dependable vehicle. Whether you have experienced slow/late pays, collections, bankruptcies, repossession, or other type of bad credit … we can help with your auto financing! Unlike the “buy here, pay here” dealerships which can hold you credit hostage, our banks report to credit bureaus like Equifax and Transunion. This helps us restart your credit with the first vehicle you finance with us. Over time and with good payment history, we can continue to trade you up in vehicle while working with new lenders and increasing your credit score for each car loan. Simply complete the application below to Restart Your Credit and start enjoying the financial freedom that comes with a healthy credit report. By submitting your contact information, you agree to be contacted via phone, email and or text message. By Clicking "Accept and Continue", I certify that the information I provide is correct. I also understand that you will be checking with credit reporting agencies. I authorize an investigation of my credit and employment history and the release of information about my credit experience. If I am using a co-applicant, I understand the above information also applies for his or her information provided. I have read and received a copy of your Privacy Notice and agree to all of the above. If yes, the co-applicant must be 18 yrs. or older, and one additional step is required.